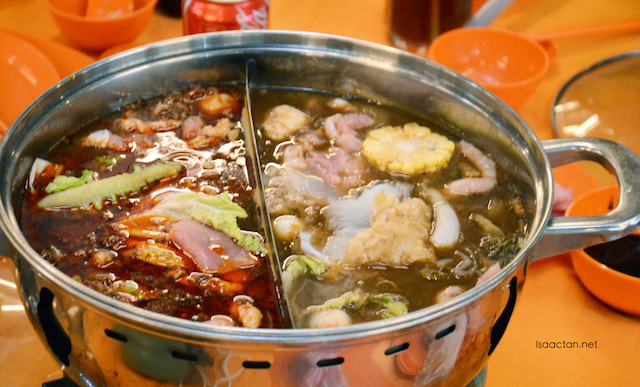 My second post of the day today, will centre around the same eatery, this time to review 4Get Hotpot Restaurant - Premium Seafood Steamboat @ Kepong, Kuala Lumpur. Different name, same location, yes I was confused too. 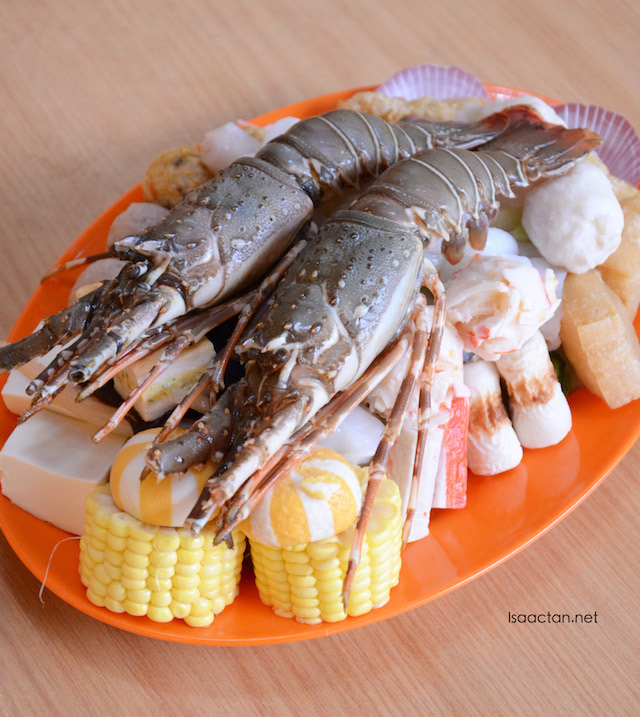 Anyway, they serve premium fresh seafood with a special Assam Laksa steamboat broth that you can't find elsewhere, what's more they also served fresh Seafood BBQ too as in my previous writeup. Simple, yet comfy chinese restaurant interior, 4Get Hotpot Restaurant offers top quality ingredients with some rather unique and exclusive premium broth to enjoy your steamboat with. I really like the assam laksa broth, and would recommend it to anybody coming here for their steamboat fix. They do provide some really premium steamboat sets, one of it which we got to taste the other evening. It was the fresh lobster set which goes for RM49.90 per pax, a rather okay price considering there were generous amounts of meatballs, tofu, seafood and vegetables thrown into the mix. 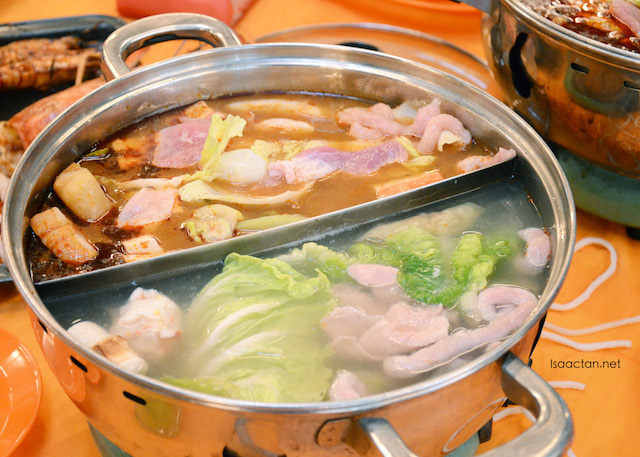 Choose from a rather extensive offering of ingredients for the steamboat from 4Get Hotpot's menu. A special mention has to be made for this nice Hearty Dumpling made by the owner's mum herself. 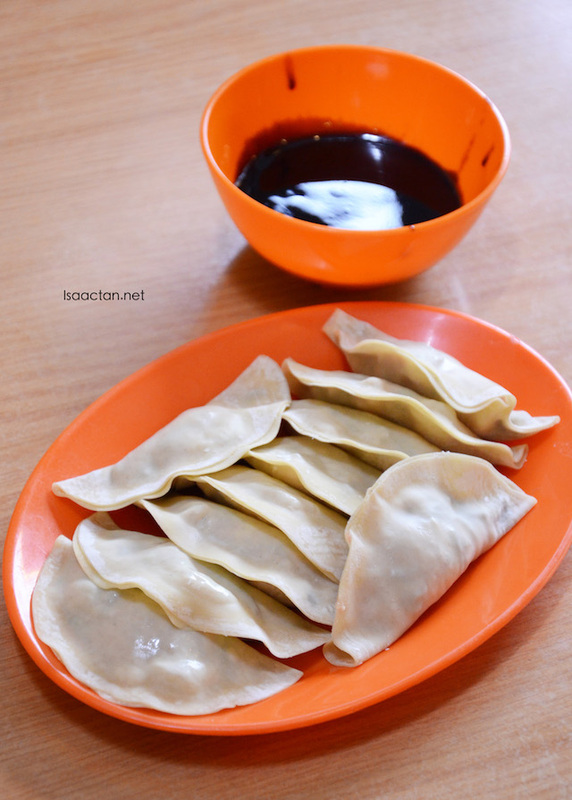 Filled with generous amount of chunky meat inside, you must order these. 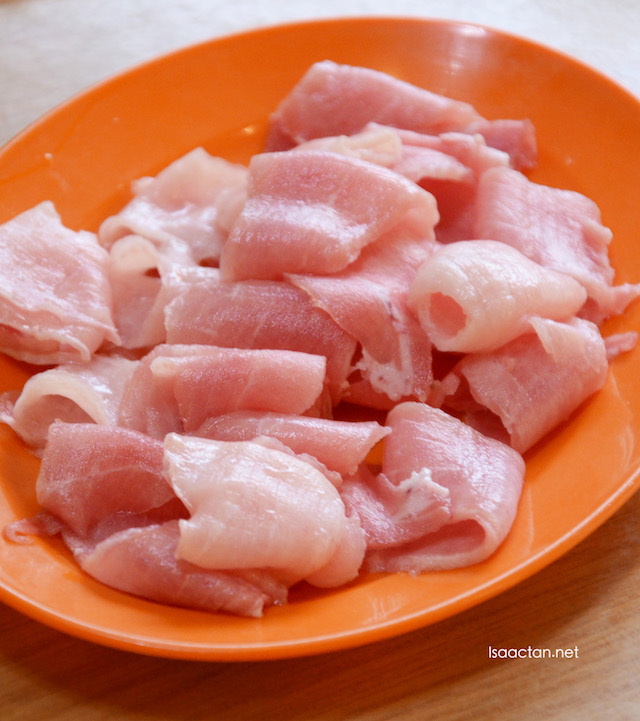 Another favourite ingredient of mine for the steamboat would be these very thinly sliced pork belly. Goes perfectly well with any of the four soup bases. If pork belly is not to your liking, you can go for beef, lamb or fish slices instead. All thinly sliced, easy to be cooked, and tastes great! For the soup based you can choose either the normal Clear soup broth and Tom Yum soup based. There is no charge for these two soup base. The other two soup base, namely the super awesome assam laksa soup base, and the very spicy Szechuan Spicy soup base has a small charge to it, RM7 and RM15 respectively for half pot. 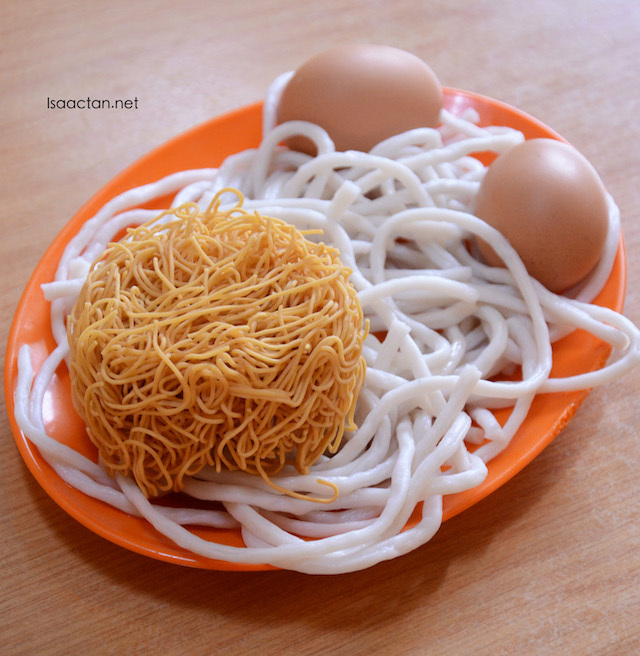 Why do I keep on gushing about their assam laksa soup base? Well for starters, it is really tasty, with lots of fish flakes inside. Any ingredients thrown into that soup base will come out tasting very flavourful. The fragrant broth is made from a blend of traditional and local spices, using only Pangkor ikan kembung for that extra sweetness. Good stuff. 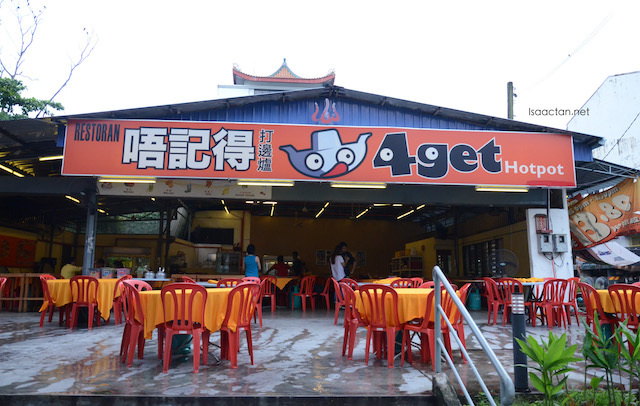 So the next time you are in the vicinity of Kepong and would like some really nice premium seafood steamboat, don't forget to drop by 4Get Hot Pot Restaurant, Kepong.